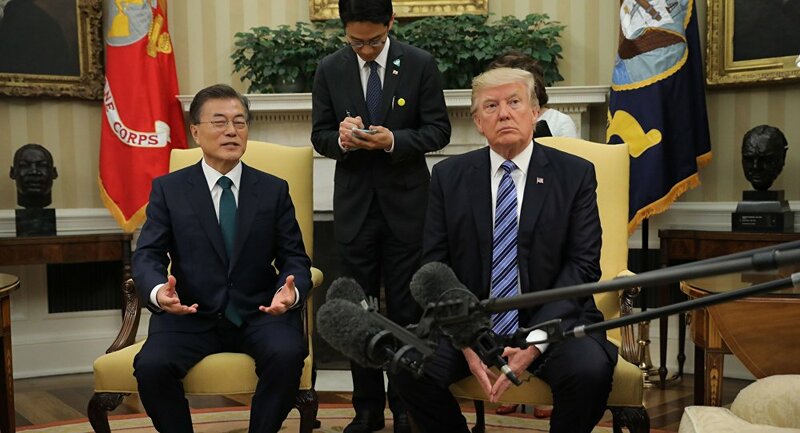 TOKYO (Sputnik) - South Korean President Moon Jae-in handed a message from North Korean leader Kim Jong Un to US President Donald Trump during their bilateral meeting in New York City on Monday, local media reported, citing a source in the South’s delegation. According to the Kyodo News Agency, Moon made some comments on the message. The media outlet however did not provide any details on its contents, only noting that Trump had welcomed it. 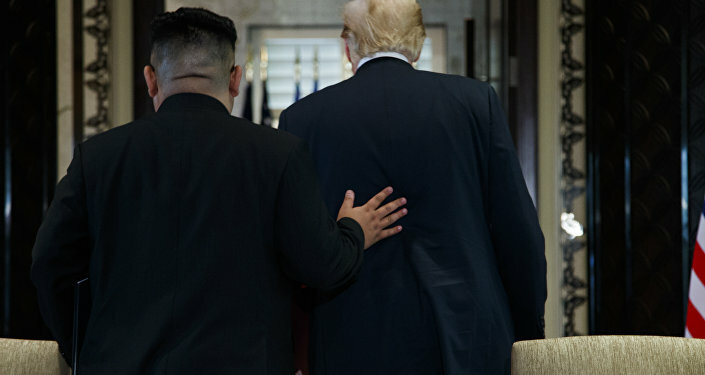 Following the September 18-20 inter-Korean summit, Moon said that he intended to convey a message from Kim to Trump during his visit to the United States. The third inter-Korean summit this year was held in the North Korean capital. Seoul and Pyongyang signed a agreement in which they agreed to work toward creating a joint military commission to solve the issue of mutual trust. The parties also decided to establish an 80-kilometer (50-mile) zone in the border regions of the Yellow Sea and the Sea of Japan, where military exercises will not be conducted.